Comparable to any high quality lip balm, the Quick Click Tin Lip Balm keeps your lips from cracking and presenting the shine for attractive looking lips. The Lip Balm with SPF15 comes with a natural mint flavor. Our convenient clicker tin slips easily into any pocket or purse. The click tin is shrink- banded for tamper resistance. Imprinting a company logo on the click tin for a branded touch is a unique and exceptional way to market your brand. You may also have the couples names printed on the click tin for a memorable wedding favor. 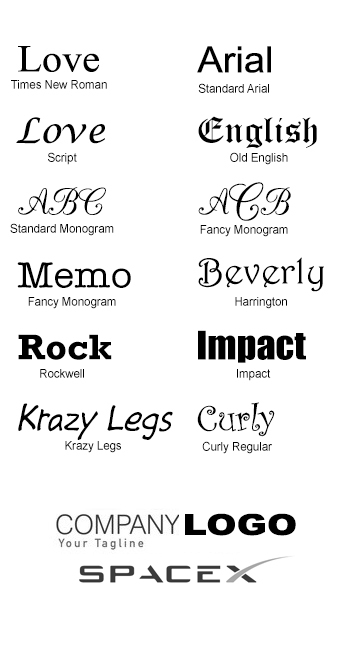 Personalization is available with different font styles to choose from. The Customized Lip Balm is a worthy party favor at any occasion. These days, lip balms are common accessories for many so make sure to present these gifts to guests at a wedding or a birthday event. Need a company logo? Just type "Logo" in the personalization box above and email your logo to our customer support department. Print color is black. Call support for additional colors.